are you all having a nice week end? Really hope so! Today I want to review some products from MUA that have proven to be incredibly worthy a purchase. 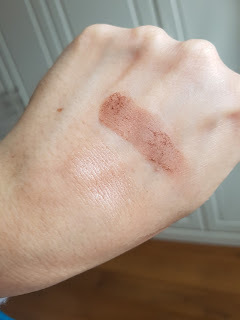 Don't we all love a nice drugstore brand, with cool products we can buy without feeling guilty when we look at the price? 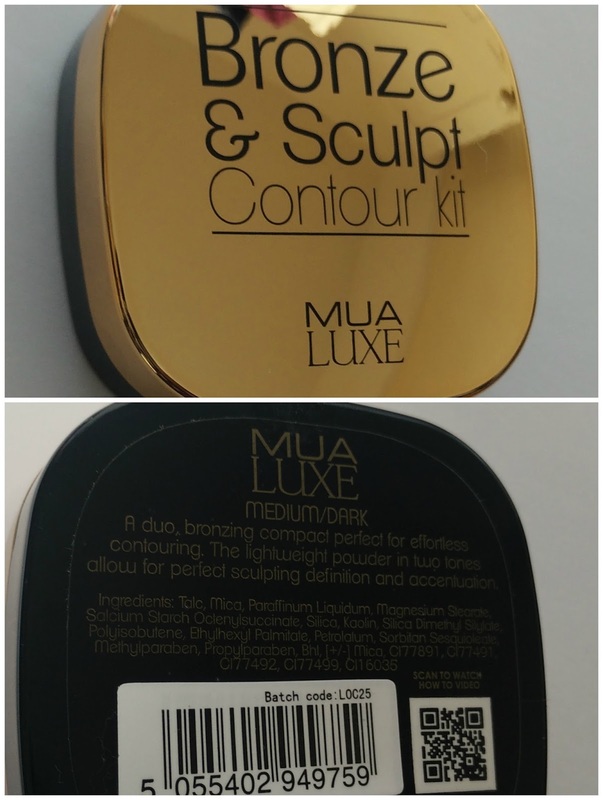 MUA is one of those brands, with a great range of products and frequent new launches. 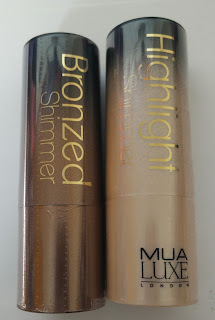 Thanks to the 3x2 in Superdrug, I recently stocked up with few bronzing/contouring/highlighing products , all from the MUA Luxe range, so here we go, here is my review and some swatches. 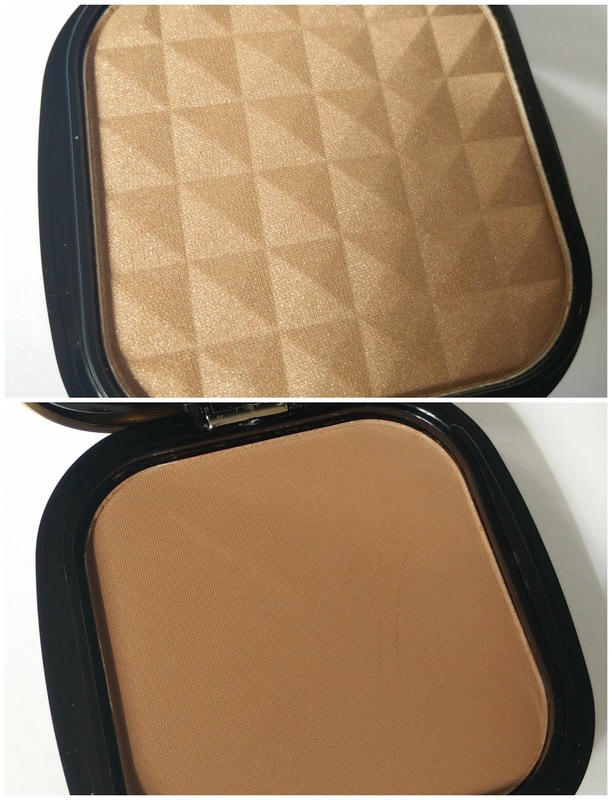 The Bronze and Sculpt Contour Kit is a compact with two powders, a matte brown one for contour and a shimmery golden bronzer to use as a highlighter, thanks to the subtle shimmer. 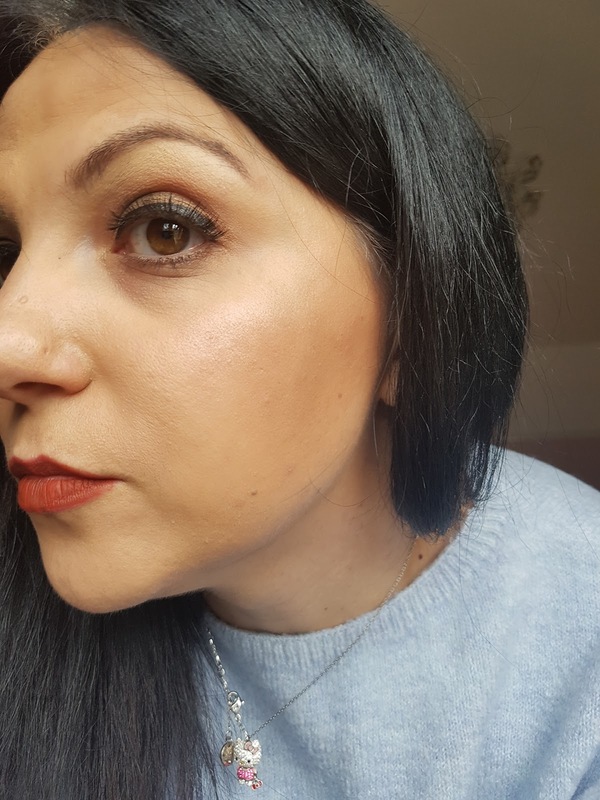 I found the matte powder easy to blend and quite resistent throughout the day, whilst I must admit I did not really find the shimmery bronzer very useful as highlighter, I prefer it as a old style bronzer, to be applied all over cheecks and forehead. Available in 2 shades, light/medium and medium/dark, it's only £5 and totally worthy for my opinion. 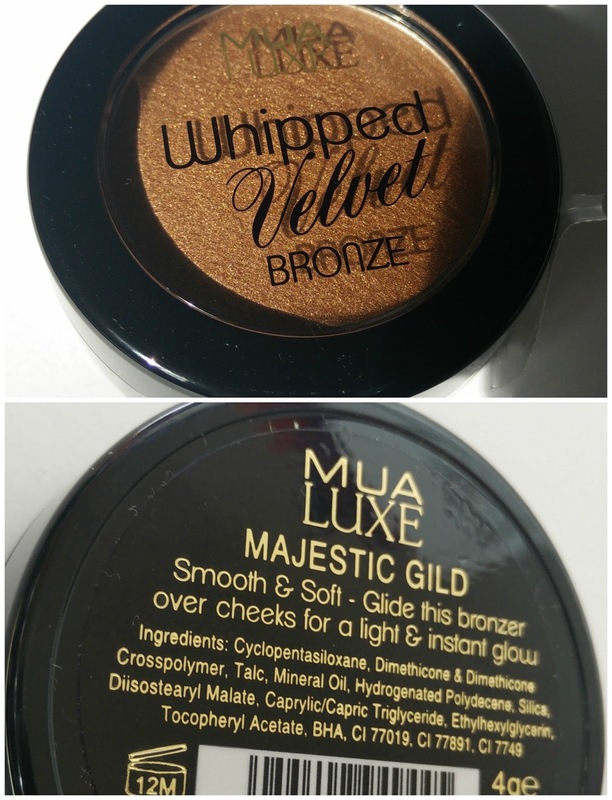 The Whipped Velvet Bronze in Majestic Gildis one of those products you need to become familiar with before loving it. 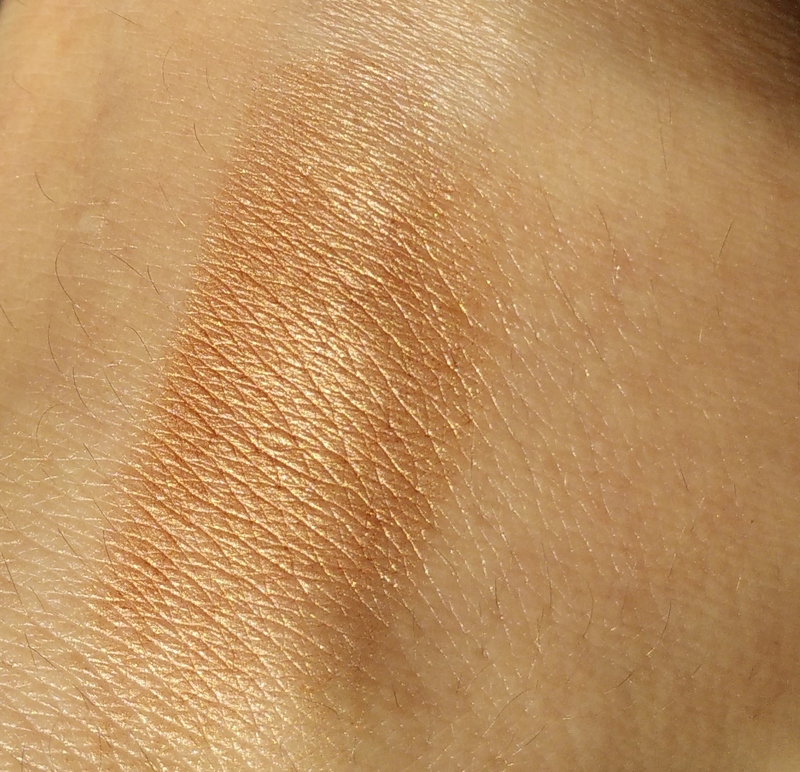 It has a mousse consistency, incredibly similar to the Colour pop shadows and bronzer if you know the kind. I did not managed to apply it with brushes or sponges, this has to be applied and blended with your fingers. 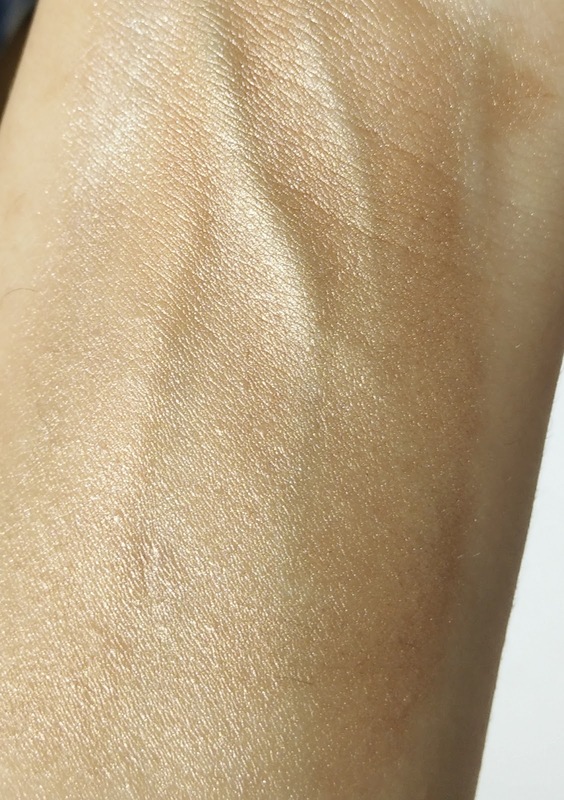 It has quite a shimmer in it, that's why you need to be careful unless you want to look like a Christmas tree. 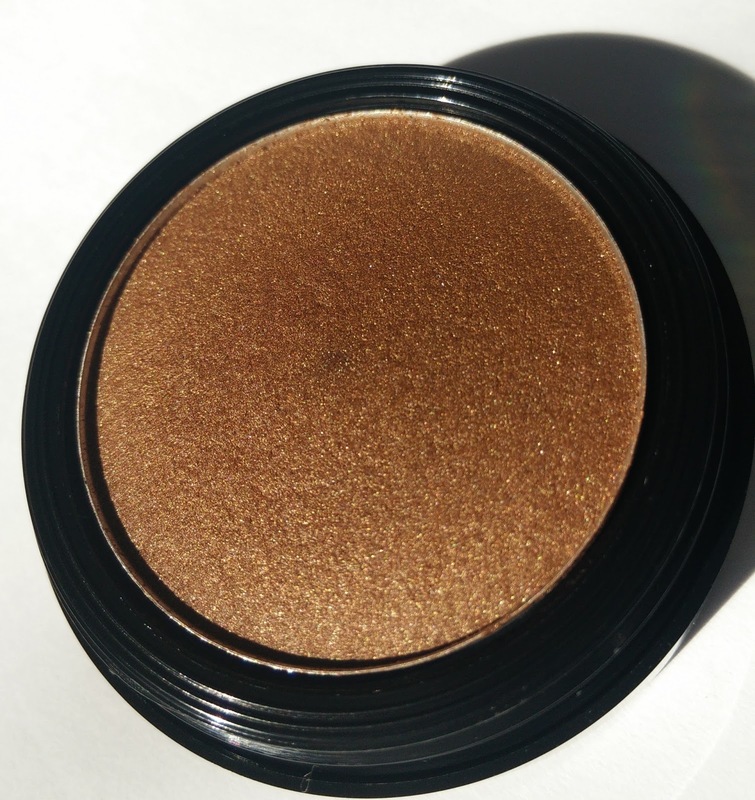 I use this one as an highlighter, much more than the one present in the Bronze and Sculpt. 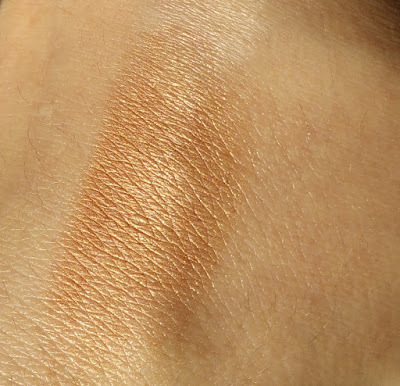 It doesn't last an entire day, forget about it, but if fixed with a transparent setting powder (or a coloured one if you want to tone the shimmer down) it can last a decent ammount of hours. For £3 is something I can totally recommend. Now, last but not least, the shimmery sticks. 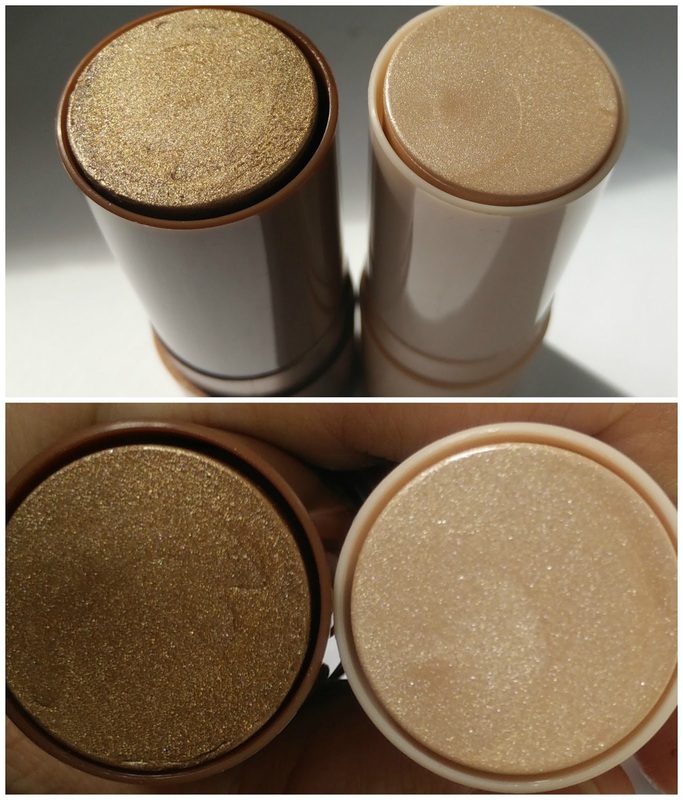 The Highlight Shimmer Stick is one of the creamiest stick products i have ever tried. 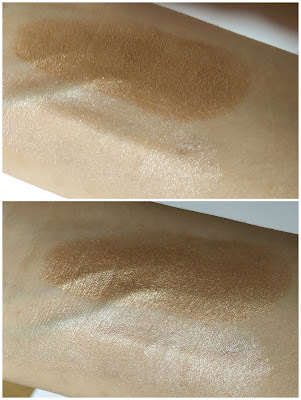 To keep the hard consistency and do not melt in the case, stick products must have some solid ingredients that helps to keep a hard texture, that's why so many stick products tent to dry out skin. This highlighter is an exception, it is incredibly soft and easy to bled. It has a subtle shimmer, not a chunky glitter explosion as other out there, and once again, you will probably find easier to apply it with your finger tips. 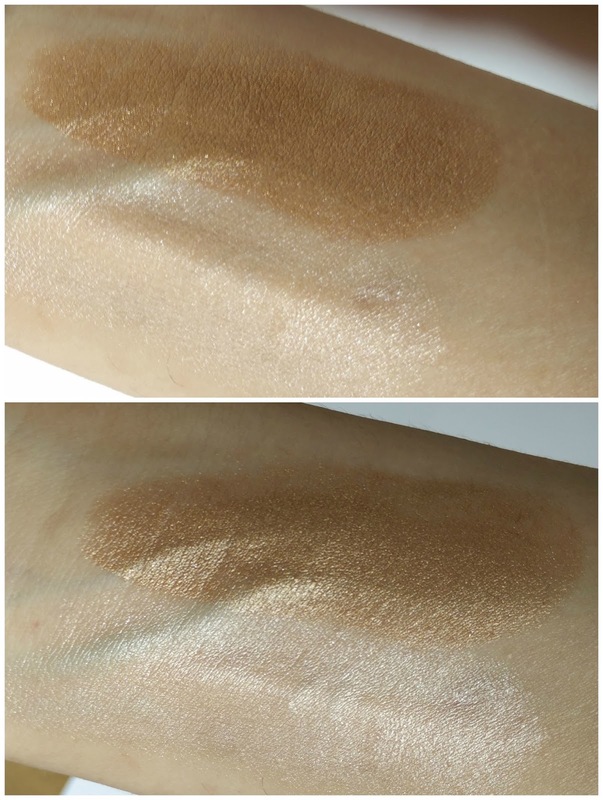 The Bronzed Shimmer Stick has exactly the same consistency of the previous one, but of course, has a bronzed brown shade. It gives the skin that metal, wet look, so I guess I will be use this mainly during the summer. 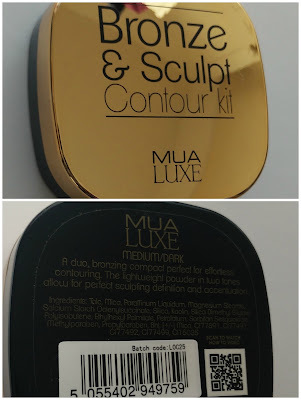 I will probably pop all these products in my make up bag for my next holidays and travels, these are those kind of multi function items that can save space and if they get smashed in the luggages (it has happened to me so many times!!) oh well, never mind, not a big money loss! 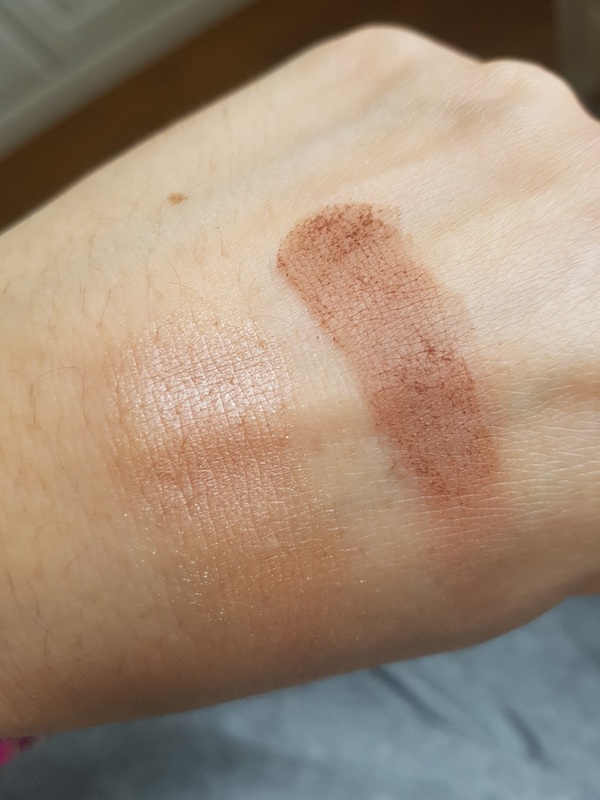 Each stick is £4 and remember that at the moment, Superdrug is still offering the 3x2 on make up. 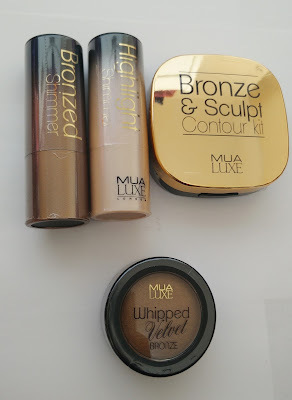 What do you think of MUA? Anything else I should try?